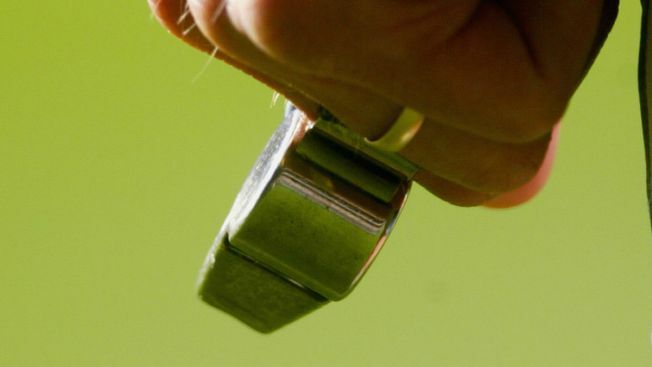 Two white coaches have filed federal complaints against a northern Indiana school district, alleging officials discriminated against them. Bill Groves alleges the South Bend Community School Corp.'s August decision to hire Seabe Gavin, who is black, as the district athletic director was based on race rather than merit. The 61-year-old has filed his race discrimination claim with the Equal Employment Opportunity Commission, saying Gavin has less experience and lacks a master's degree. Groves has been a teacher, coach and school athletic director for nearly 40 years. Gavin was previously a history teacher at Riley High School. "I don't have a problem with Seabe as a person. But this was race-based hiring by the superintendent that the school board endorsed," Groves said. Groves' complaint is in the investigation stage and could lead to another lawsuit against the district. Mark Johnson taught at South Bend Riley High School for 15 years before resigning early last year. He filed a lawsuit in November against the district for race discrimination and retaliation for complaining about his claim. The suit alleges school officials deliberately ignored his concerns. The lawsuit also accuses Riley Principal Francois Bayingana, who is black, of interfering with Johnson's coaching decisions and says school board member Leslie Wesley, who is also black, criticized his coaching and publicly accused him of racism in a Facebook post. Wesley's son was on the basketball team. The lawsuit alleges Wesley's sister, Charan Richards, the head guidance counselor at the school, also harassed Johnson in an email. Johnson said he retired because "he did not believe he could remain an effective teacher and coach since he is a Caucasian male in a school with a large minority student, teacher and administrative population." District officials have denied the allegations.